We first brought out Halama Street listing to market in the middle of August towards the end of the busy summer season. We are extremely familiar with the area as I grew up around here as a kid and into my teens. We’ve also sold and listed quite a few properties in the area over the last few years. 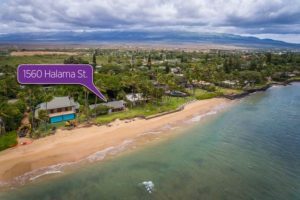 Halama Street in particular is prestigious beach neighborhood in Kihei and is regarded as some of Kihei’s best beachfront homes. Many buyers favor the Halama Street area because it offers convenient access to pristine waters and a rather private beach area for lounging. The property itself sits barely even 30 yards from the sandy shoreline, yet still has a nice little yard area as a buffer between the home the beach. This epic offering is situated on the water’s edge with a 1950’s vibe that exudes character throughout. 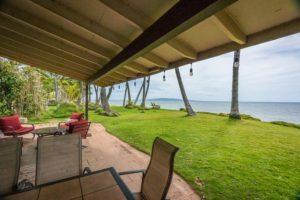 A timeless Hawaii Beach House and Ohana located on a 17,000 square foot lot, this is truly a once in a lifetime opportunity, and we were happy to help our seller clients find the right buyers to pass it along to. The lot is built like a true estate and holds countless opportunities with the ohana or beach cottage in the front of the property and closest tot he street. The main house is the closest to the beach with 3 bedrooms, 2 bathrooms, and just under 1300 sqft. The outdoor living area just off of the back of the house is perfect catching the famous South Maui sunsets and is the quintessential area for bbq with friends and family. After 3 days on the market, we received a great offer that our buyers were willing to accept. We ended up closing for full asking price at $2,695,000. When you set foot on the property, you will immediately be transported to Old Hawaii. A unique feeling that you must experience in person to truly appreciate the splendor. This large and useable lot is the perfect foundation to begin anew. You can clear the palette, or retain the existing structures for restoration or remodeling. The choice is yours! The sunsets and whale watching from the property are unparalleled. 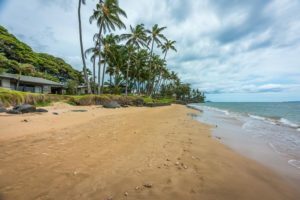 Nearby are all of Kihei’s many amenities, including first-class restaurants, shopping, tennis facilities at Kalama Park, and miles of white sandy beaches and ocean recreation. Property to be sold “AS IS”. With 5 homes sold through 10.5 months, the market has seen $16+ million in running sales home and can improve assuming the unit in escrow closes. 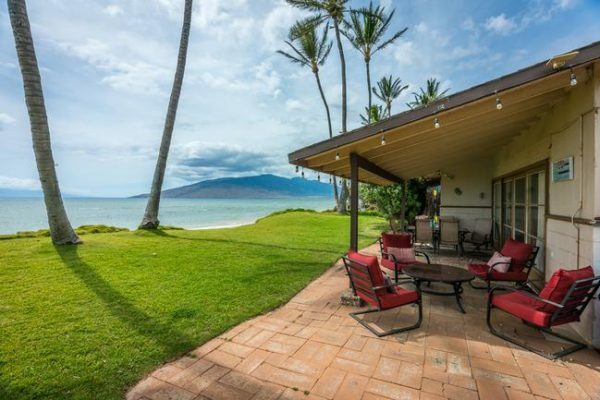 has been Home values in the Halama Kihei area can vary based on a variety of elements, but will mainly come down to the lot size, whether oceanfront or not, if they have been upgraded through years, and a variety of other variables that are unique to each property. Considering the Halama Street price point is at least around the $1.2 million range, buyers have to make a significant financial commitment to the purchase price, but also monthly and yearly upkeep of their property. 5 sales in the Halama area is no slouch for the neighborhood as turn over in the area isn’t too high. Lot sizes in the neighborhood are quite sizable; the smallest lot size sold this year was just over 9000 sqft, while the largest lot was just about 1/2 an acre. Sold prices have been across the board this year, with 40% of the transactions being on the lower end, 20% in the middle market and 40% on the high end. Two deals were completed for under the $1.5 million price point and represent great value buys in terms of land and final product. 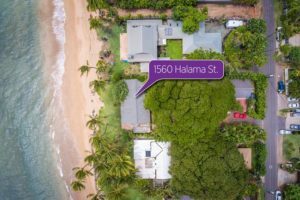 The most recent sale was in the middle market, but could use some TLC to bring it up to comparable beachfront Halama Street homes. With the wide discrepancies in sold prices, price/sqft will vary widely as well. Value buyers can pick up a property for as low as $500/sqft, while on the upper end a buyer can pay as much as $2000/sqft. With 6 listings for sale, buyers have either upper end or lower end homes to choose from. Having a Halama street address immediately inflates prices because of proximity to the beach and prestige of the neighborhood. 3 listings have come to market in the last 3 months, while 1 has been listed for longer than a year. If homes are priced right, they can move very quickly as was the chase with our listing above. At this point in the year as we approach the winter busy season, the market is top heavy with 4 lists priced above the $4.25 million mark. The upper part of the market will usually cap out at around $6 and $6.5 million. Of course lot size and proximity to the beach are huge variables that can factor in. On the lower end of the market, 2 homes are priced in the $1 million price point and are excellent candidates for buyers looking to break into the market. 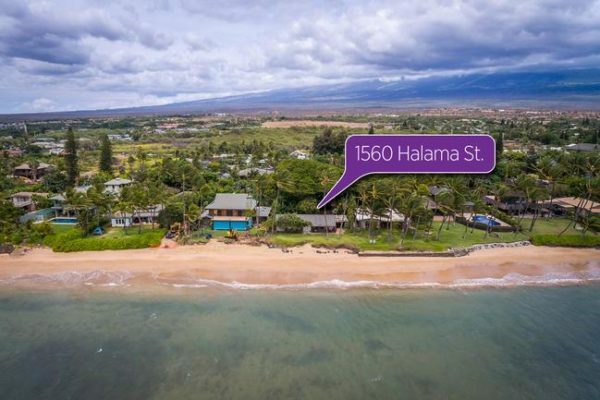 Halama Street will always be a coveted neighborhood to get into and is among some of the finest beachfront real estate on Maui.